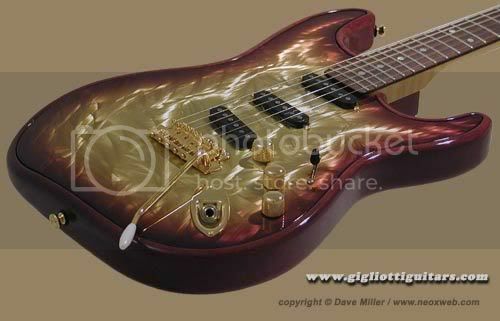 The Gigliotti GS guitar, created by Patrick Gigliotti (jill-au`-tee) in Tacoma, WA, is a chambered semi-hollow body with a metal top of either brass or aluminum. 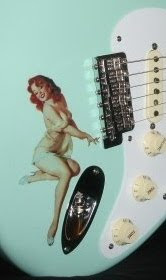 There's also metal in the headstock face. The metal is cut and finished using a waterjet process, resulting in the very cool, pearly looking top. Check out a Joe Bonamassa video to see & HEAR a Gigliotti in action!